Thanks to Google Maps, it has becoming increasingly difficult to get lost. That’s not a bad thing – being lost can be fun. It can lead to discovery. It can be thrilling. And those are things that are captured in Amaze, a funhouse-like space created by Visionaire, Architecture At Large’s Rafael de Càrdenas and experimental musician Sahra Motalebi. 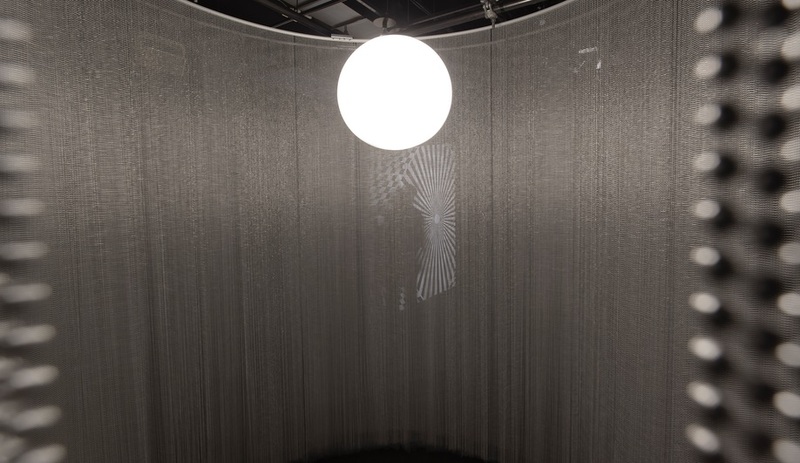 Motalebi’s ambient score beckons visitors into other rooms, though it lends the exhibition the air of a horror movie – it features looped laughter atop atonal drone music, all made solely from her vocals. 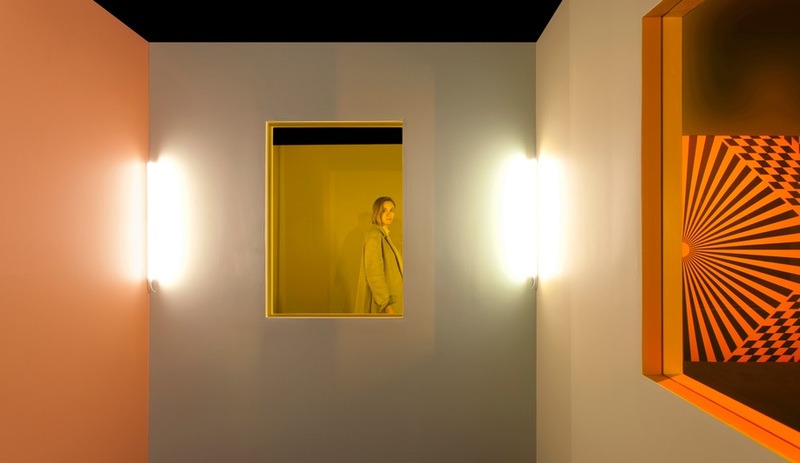 It’s unsettling stuff, to be certain, and it contrasts to the bright burst of colour that follows: visitors next enter a mirrored hallway with sconce lighting, geometric carpeting and lemon-yellow walls. 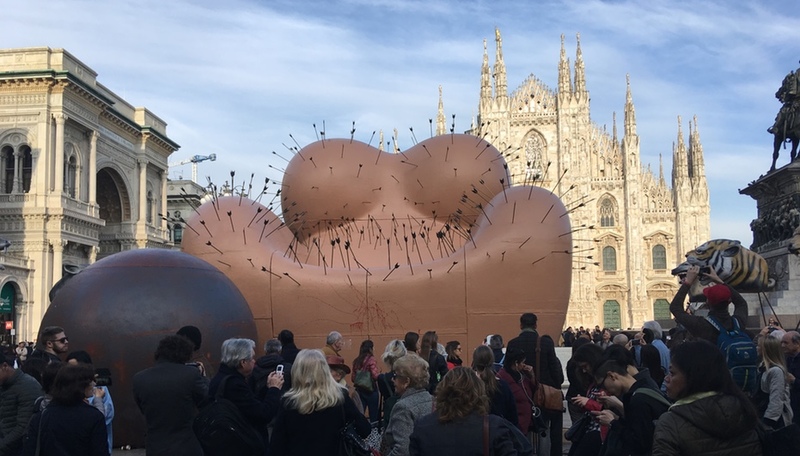 It’s part funhouse, part actual house, part Alejandro Jodorowsky – and meant to simultaneously embrace and question our obsession with selfies. 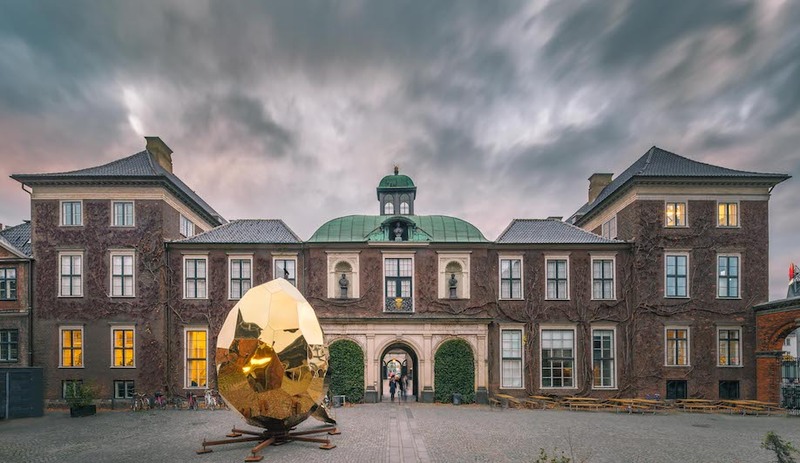 It’s hard to figure out where to go next – the installation is full of hidden doorways, two-way mirrors and delightfully everyday artifacts. 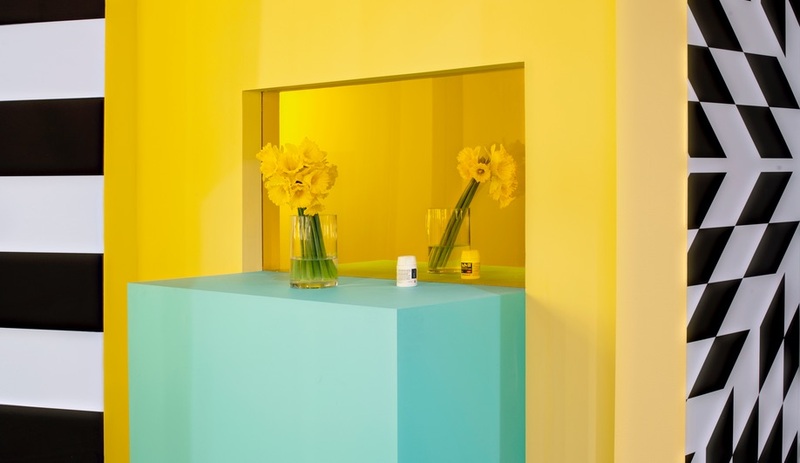 At the end of the hallway above, for example, is cyan pedestal with daffodils and a bottle of Advil. 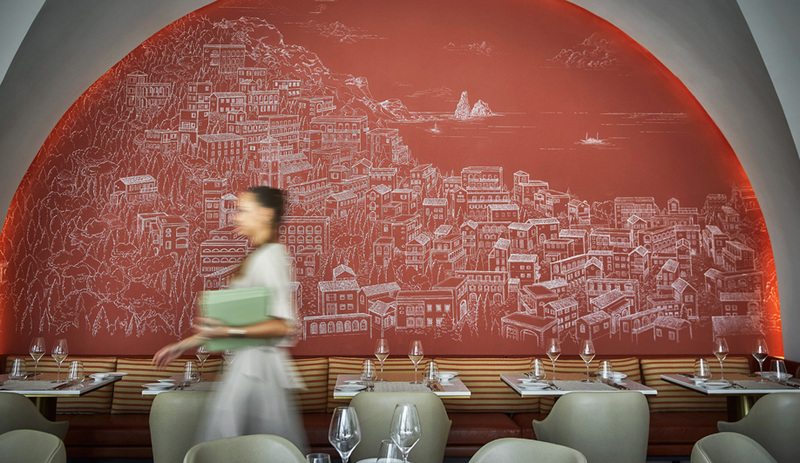 Amaze aims to oscillate between the “otherworldly and mundane,” and here, that’s readily evident. 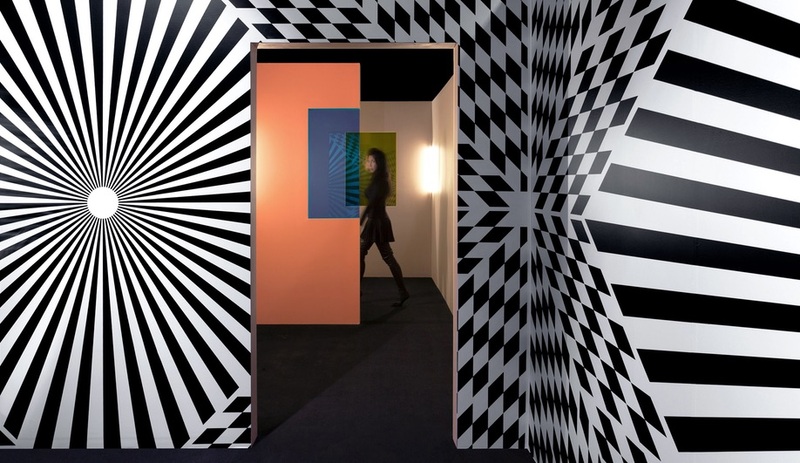 Once – or if – one emerges from the sensory overload of the mirrored hallway, a room wallpapered with bold black and white patterns comes next. 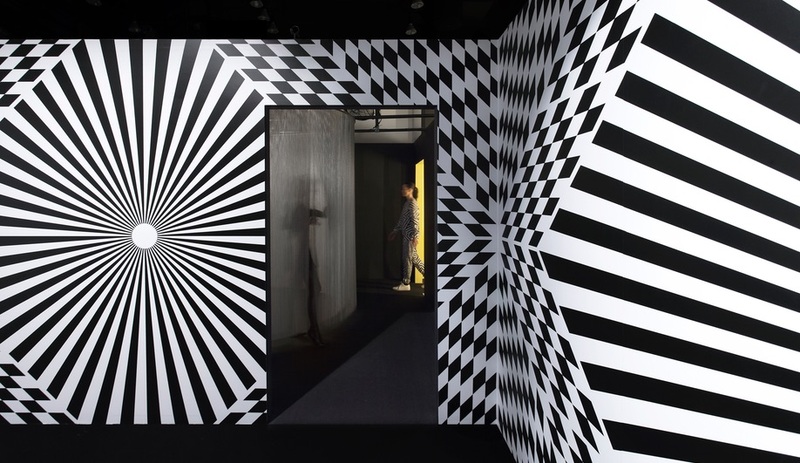 Inspired by op art and dazzle camouflage, a geometric ship camouflage used in World War I to disorient attackers, these rooms distort perception; it’s almost as if one expects to see an optical illusion here. 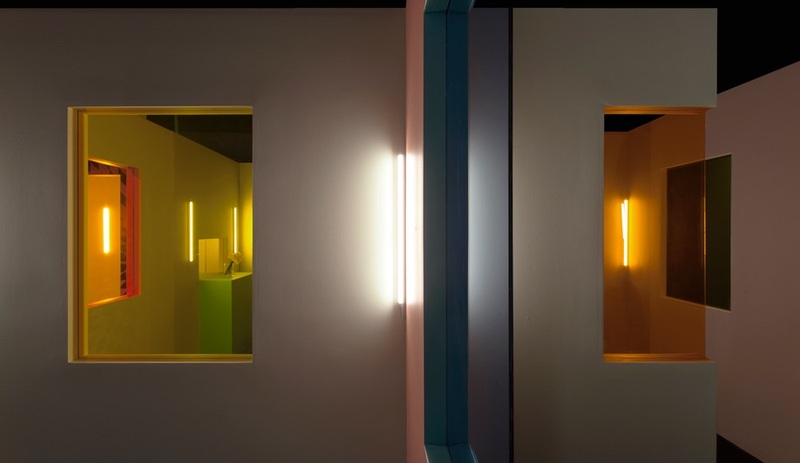 Amaze’s final room combines several different compact spaces painted in an array of colours, separated by a mixture of tinted panes and mirrors. While de Cárdenas beautifully distorts perspective – in images, it’s difficult to separate what is in the foreground – Motalebi’s score takes yet another a sinister turn, both urging listeners to leave while reminding them that there are others left behind in the maze. The exhibit is open until June 10 at 330 Hudson St. Listen to a sample of Amaze’s eerie score below.